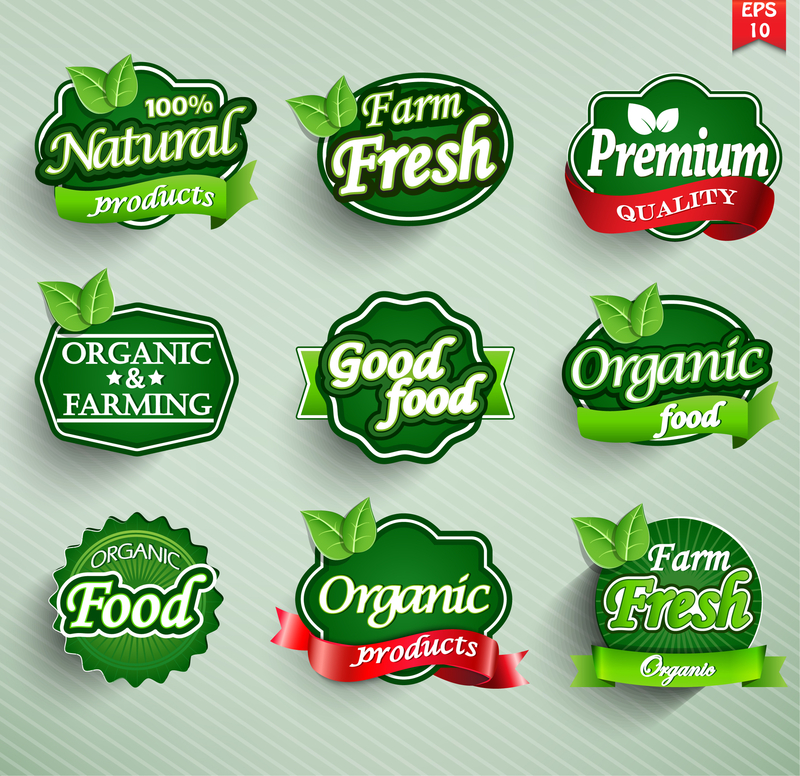 There are many markets for custom labels and one of the fastest growing for custom label printing is the organic food industry. TLC creates the highest-quality food industry labels for all types of food packaging with a fast turn-around time. Contact TLC for a quote on your next labeling project. 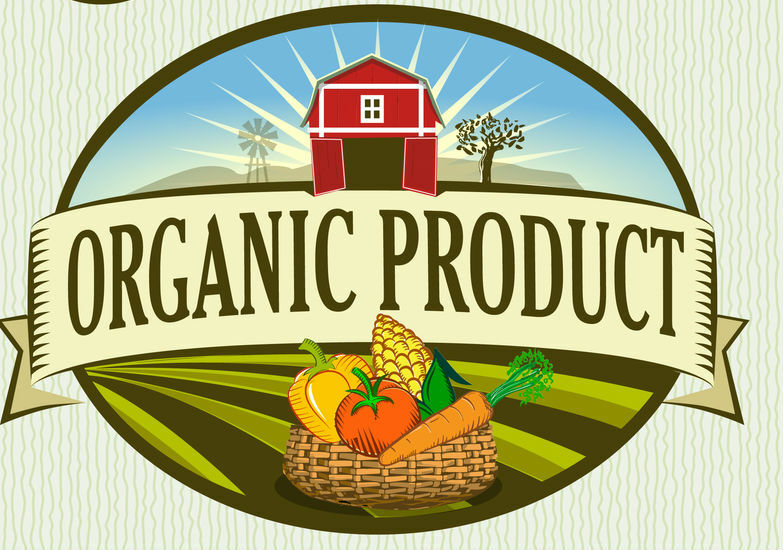 From PrintingNews.com “The U.S. organic products industry is vast and growing. 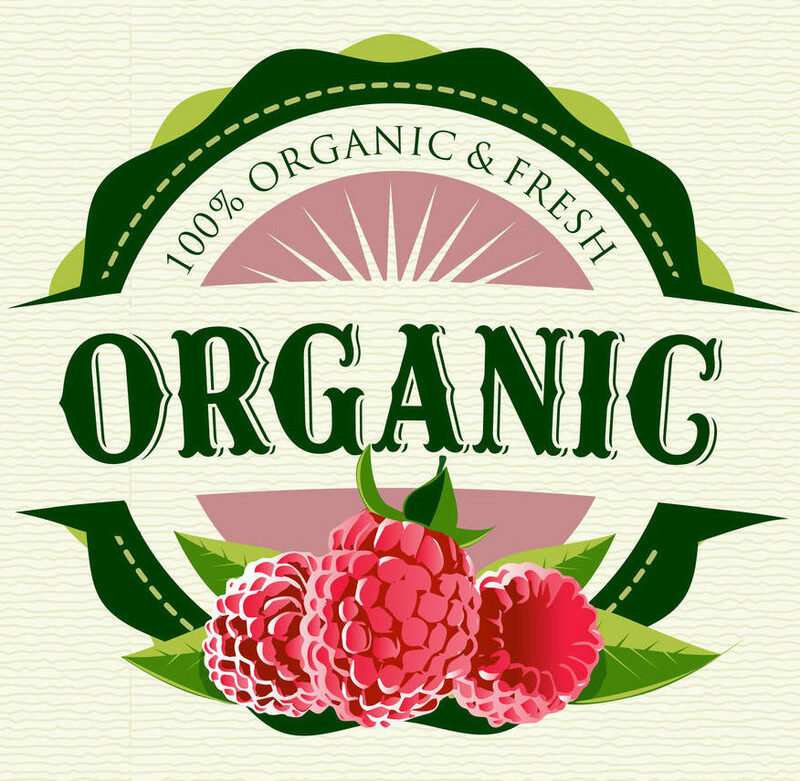 In fact, according to the Organic Trade Association (OTA), total U.S. organic product sales reached $47 billion in 2016, and the market continues to grow by double digits. The USDA reports that organic products are now available in nearly 20,000 natural food stores nationwide and three out of four conventional grocery stores. And a recent Consumer Reports survey cited on foodtank.com reveals that 84% of Americans will purchase an organic product over a non-organic option. When trying to create or sell a product, an important step would be to have a nice, interesting and clearly labeled product. Visual appeal alone can make a huge difference with customers, and a good label is a great place to start. 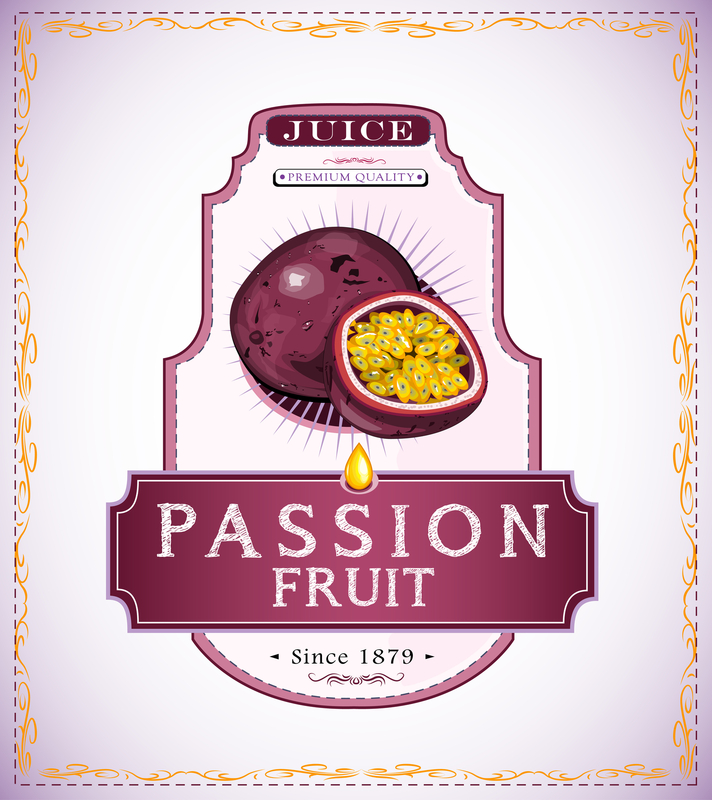 When creating a pre-printed custom labels, you want it to be interesting, original and captivating, yet not over the top. There are an infinite amount of ways to make labels, as there is no right or wrong way to make a label, but creating an effective label is not easy. The main goals of your label should be to draw in customers and sell your product, as well as spreading company name with a logo that is easily identified. Too much color or effects can tarnish your logo, making it hard to read and fails to draw in the customer. A successful label is able to be used for years, and be can printed in color or even black and white. The color schemes you use for your labels can also play a major psychological role when selling your product, as different colors invoke different emotions in people. The more professional and sophisticated your labels look, the better business will be. Although the label and the product may have no relation, your label says something about your company, and if your label isn’t up to par so to speak, people will have those same thoughts about your company. First impressions in a label are important, and when customers are shopping for products at the store, your label is your companies first impression on them and you need to make sure it’s a nice strong impression that leaves the customer wanting more of your product. 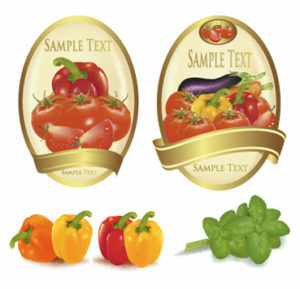 Looking to Label Food Products? Give us a call! Being able to supply some of the largest names in the food industry with high quality labels is something, here at Tape & Label Converters we pride ourselves highly on. We understand that it is important your food label helps your product stand out to your target market, that is why it is important you choose your label manufacturer carefully. You need a label manufacturer you can trust, that have fantastic attention to detail matched by world class customer service and swift response with delivery times, ensuring that your products are always labelled to the highest of standards and are always delivered to you on time. Tape & Label Converters also work closely alongside many smaller companies, so know matter your company size – if you are in need of food labels we can help! Contact our expert sales team for a free quotation today. Deep Freeze labels are used mostly for food packaging/storage. They stay adhered to the products packaging when frozen, unlike standard labels which fall off because general purpose adhesive fails when exposed to cold temperatures. 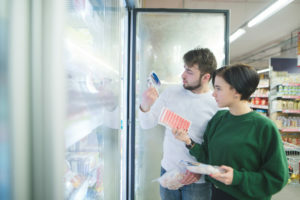 Deep freeze labels can be used in a variety of situations where products or packaging are exposed to the outdoor elements, such as sub-zero environmental conditions. Choosing freezer labels without good research and accurate information can be hurtful to your business, which is why knowledge of the labels elements and how they perform in different conditions is a must if you want to get quality your business and products deserve. At Tape & Label Converters we have been at the forefront of providing high quality labeling solutions and have unrivaled industry knowledge regarding many different labeling applications. Our expert customer service team will help advise you and discuss the types of substrates used in cold environments, including the various type of labels we offer and match a solution to your specifications. As with any material you choose, there are always advantages and disadvantages to each type of finish. This decorative finish is often popular because it offers a more subtle decoration compared to, say, colored labels. The bright and shiny surface creates an attractive and professional finish, which can draw attention to important information. Gloss labels have special coatings, which add extra beneficial properties. For example, coatings tend to create a smoother finish and can offer protective properties, resulting in tougher and more durable sticky labels. They may also offer limited protection from environmental elements such as moisture. While paper labels can never be fully waterproof, our gloss and semi-gloss paper labels are “splashproof” and can be wiped clean and dry if lightly splashed with water. Matte labels may not be as decorative as gloss labels but this can be a benefit. Their subtle flat finish allows additional print to be added onto matte surfaces without drawing attention to the fact that this has been done. Some matte labels (especially matte transparent labels) become almost invisible after application, making it seem as though your additional print is actually part of the labelled item. Matt labels tend to be uncoated (with a rougher surface), although additional coatings can improve the finish. 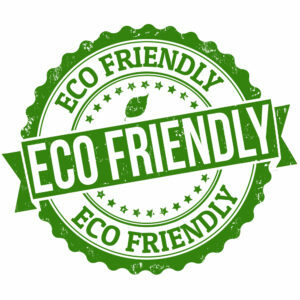 They can also be made with waterproof materials to create waterproof matte labels suitable for outdoor (or indoor) use. A less reflective surface can also be beneficial when the print must be easy to read – by humans or by machines. Gloss labels may be harder to read when light sources reflect off the surface. Matt labels are a better option for barcode labels and QR code labels. While some readers do not rely on detecting fluctuating levels of reflected light, traditional optical scanners do. The reflective surface of gloss labels may prevent barcodes and QR codes scanning correctly. 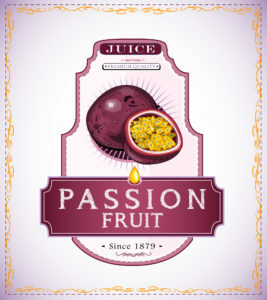 The (usually) rougher surface of matte labels is often more receptive to handwritten or drawn designs along with craft materials, such as foils and stamps. So Which Finish Should I Choose? Ultimately, the choice between matte labels and gloss labels is up to you. Generally, it depends on the appearance you want for your self adhesive labels (and your labelled items). If you don’t have any practical considerations to bear in mind (which might rule out one or other of the finishes), it really does just depend on the finish that you prefer. If you notice we see labels on every food or drinks packet we reach for at home, work or on the move. They are on your favorite bottles of beverages, chocolate bars and food packages; they are so common we almost don’t even notice them anymore – but why are food labels so important? Customers need to know what is in the food that they are eating. Food labels give consumers a list of ingredients, so they can identify exactly how healthy (or unhealthy) the product in question is. 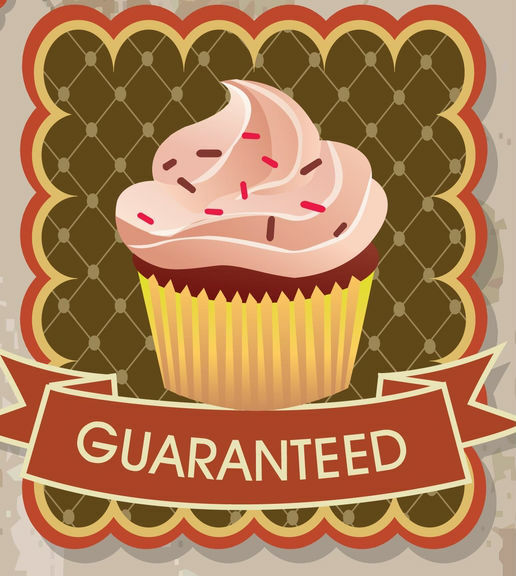 Many people believe that the longer the list of ingredients, the unhealthier the product but this isn’t necessarily true! Labels on food are also a great way of advertising your product as consumers rarely buy something without knowing what’s in it. Food labels are also important in helping customers avoid health risks, especially if they have allergies or ingredients they should avoid. By keeping your customers informed of the potential risks to their health, you help them decide on the best product for them – and food labels play a key role in this. 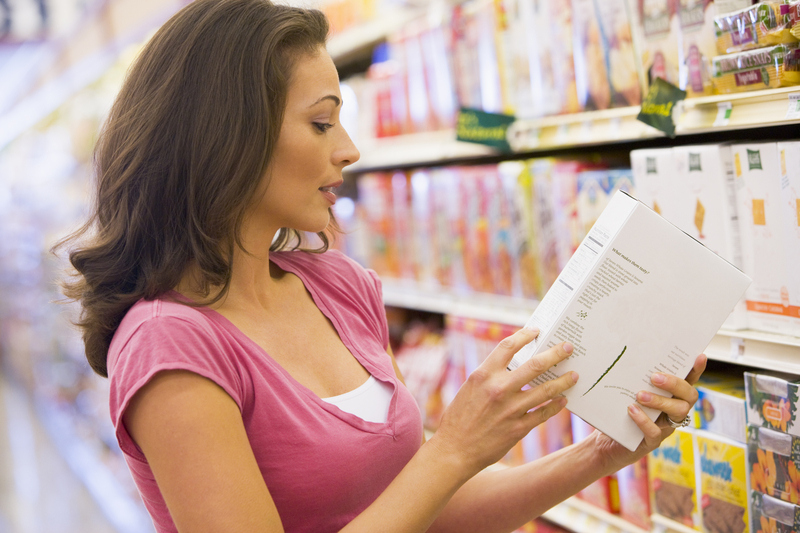 Labels on food, and especially medicines, are vital when it comes to questions on its use. 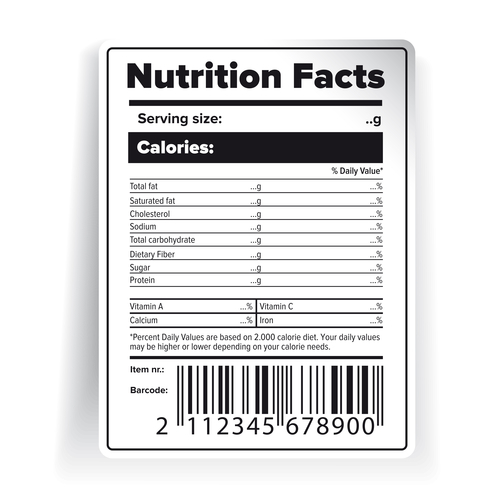 Cooking instructions, appropriate storage methods and other key pieces of information are listed on food labels. 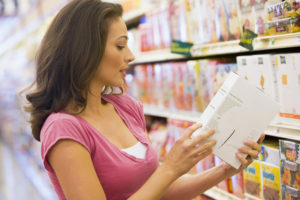 Offering helpful information on your food labels gives consumers confidence in using your product, especially when it comes to cooking instructions as this gets the best flavor from the food and helps them avoid sickness. How Barcodes Can Help with Your Food Business? The everyday “beep” of the barcode reader at the checkout is something we are all familiar with. But many small to medium sized food producers often think of barcoding products as an expensive burden. However, it’s also the best way of growing a business through access to major retailers, while establishing a better-known brand. The food and beverage industry depend on tracking inventory and distribution, and this is best done through barcodes. Any food product that moves along the supply chain (from warehouse to wholesaler/retailer) needs a barcode to be traceable and managed. Contact us to learn how Tape and Label Coordinators can help you create errorless barcodes that scan every time! Learn about Value-Added Labels and Official Seals on Your Products. 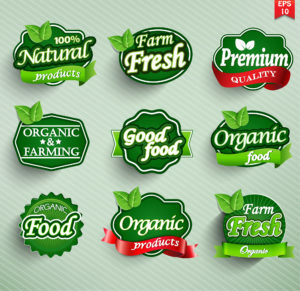 Looking for the right quality labels USDA’s Agricultural Marketing Service (AMS) provides American agriculture with valuable tools and services, such as grading, certification, and verification, that help create marketing opportunities. Through these services we guarantee the quality of American food and add value to American products. View the factsheet to learn more about the list of the labels and standards AMS verifies. This consumer-friendly infographic is focused on helping consumers navigate the organic space and understand what to expect from any products bearing the USDA Organic Seal. One side of the infographic provides an overview of the organic standards and the organic certification process. The other side gives readers an understanding of what different organic categories mean. Whether it’s the Organic Seal, Made with Organic, or a general description of “organic,” the USDA defines what qualifies under each of these terms. 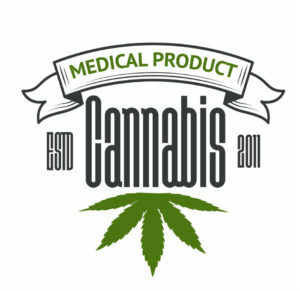 Contact us about Product Labels. Flexographic printing is known for providing quality results with its efficiency speed. This type of printing is continuing to grow, despite widespread digitization by many of the printing sectors. Those in the label printing business, like us, understand the importance of knowing how this type of printing machine operates. 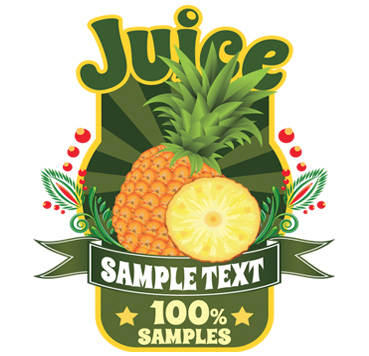 A few advantages of flexographic printing to start as I mentioned above the speediness of the production process, which can help reduce labor cost, which in turn reduces overall cost of the labels for the client. Flexography also accommodates a variety of ink types from water based through solvent & U.V curable inks. This helps make it the most versatile process for any printing application. To determine the type of ink used is depending on the material to be printed on, is it porous or non-porous, so there really is no limit to the substrate you can use. Flexographic printing is an excellent choice when it comes to volume production and fast turnaround requirements. Once the new job is set up, the process is fast since they are automated up to the finishing stage, such as laminating, over varnishing, sheeting, and die cutting. Most other types of printing do all these steps separately. Flexographic printing equipment can be environmentally friendly, as well as below in operational cost. Ink costs and material costs are relatively low, with no special coatings required. Custom Labels: Our product and service solutions make label ordering a quick and easy process. Place your order via phone and you will receive your wholesale printed labels within 3 to 7 days. For custom designs, we also accept your artwork. Quick Response: Call us for a quote or fill out the form for request for quote to help you make a quick decision about your order. Custom Budgets: Our competitive prices allow us to work within any budget size. Instant Shipping: How quickly do you want your order to be delivered? We ship overnight, 2 to 3 day lead time, and even provide rush services. For in-house artwork, the shipping time begins after artwork is approved by the client. We are confident and willing to take on even the toughest of projects. Here is a list of some of our Capabilities.